A Pit Bull named Pittie seems to have the worlds biggest heart. 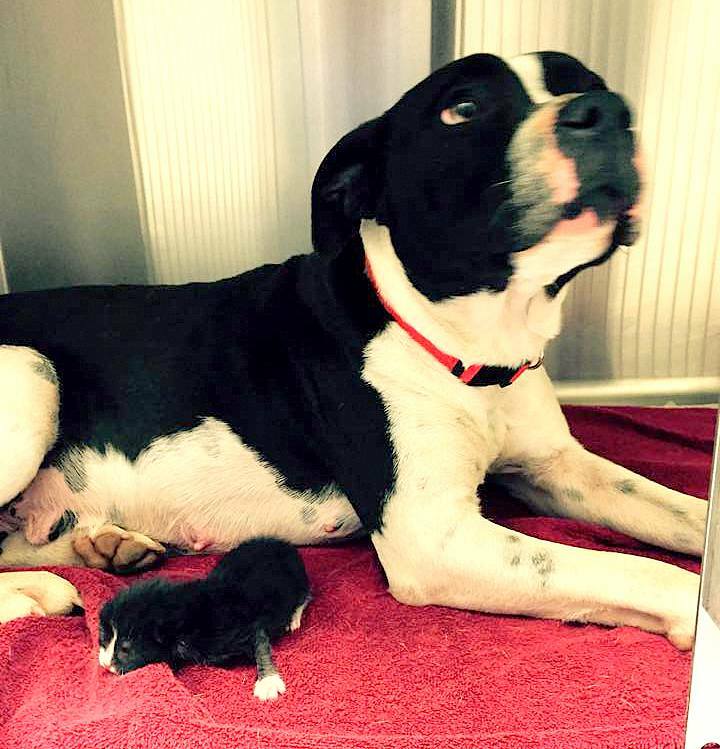 After recently giving birth to puppies, she now has one more baby – a kitten named Kitty. 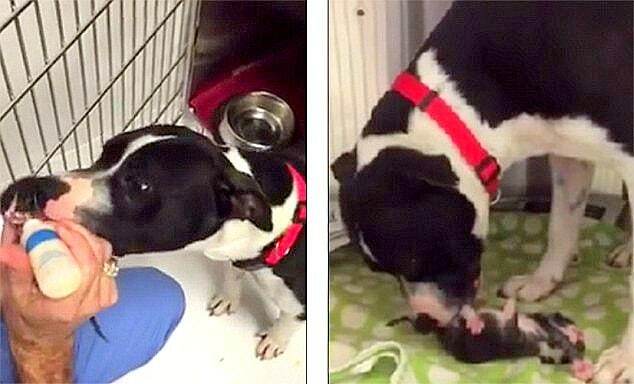 Pittie’s been keeping her alive, and even since being rescued, refuses to leave her. A member of Dallas Dog RR found Pittie abandoned on the side of the road. As she was being loaded into the vehicle, someone on the RR team noticed a tiny kitten nearby. When she was picked up and brought to Pittie, Kitty latched on and tried to nurse. Staff members are now working to find them a home.